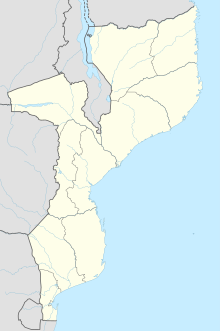 Nampula Airport is an airport in Nampula, Mozambique (IATA: APL, ICAO: FQNP). In the northeastern part of Mozambique, with 2 paved runways. Airport information for FQNP at Great Circle Mapper. Airport information for FQNP at World Aero Data. Data current as of October 2006. This article about an airport in Mozambique is a stub. You can help Wikipedia by expanding it. This page was last edited on 13 February 2019, at 07:53 (UTC).